The maintenance of street lighting equipment is a day to day activity that happens as a seamless process and in many instances, without the general public noticing. As a general rule, lighting equipment has always been designed to last for 25 years, after which it would be deemed that it should be replaced with new stock. Within the last 5 years street lighting PFI contracts have become more popular as a way for local authorities to replace age expired lighting stock. Whilst the replacement intervals of lighting columns can only be increased by using aluminium or stainless steel units, using an LED street lighting lantern will last around 50 years, helping to reduce your carbon footprint and capital replacement budget. Street lighting luminaires should be cleaned on a regular basis. Industry practice suggests cleaning on a three to four year basis for the lantern bowls and overall housing unit. Undertaking a regular clean helps to ensure the lighting unit has optimal performance and meet the British Standard lighting class which the lantern was originally installed to achieved. A lamp replacement programme, where street lighting units (lamps) in a particular area are replaced during a defined time period. As a note, burning a lamp to total extinction extends to life of the lamp, however it is impossible to tell exactly how long a lamp will last between failure, and lighting units in a street are unlikely to fail all at the same time. The lumen output of discharge street lighting falls during its life and adopting a burn to extinction policy could cause a road lighting installation to fail to comply with the British Standards (BS 5489). Group lamp replacement is generally the most cost effective way for street lighting maintenance and lamp replacement as it helps to spread costs and better utilise and plan the operations of maintenance street lighting staff. 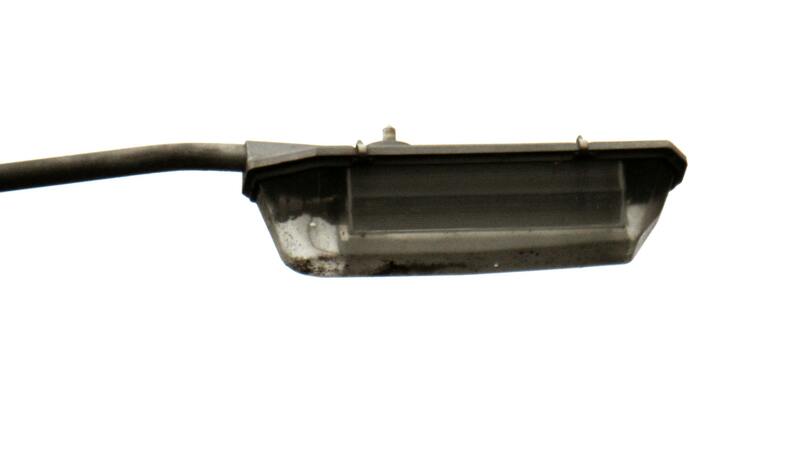 SOX street lighting lanterns for example require regular lamp changes as part of a Bulk Clean and Change cyclic maintenance regime, where as modern LED street lighting units (as shown below) do not require lamp change’s, however still require cleaning in accordance with the set maintenance contract for the local authority. Testing of street lighting stock should be carried out by experienced lighting maintenance staff to test, identify and investigate ant inherent problems with the lighting installation. Any equipment used to test street lighting cabling, columns and the general network should be calibrated and suitable for the task involved. 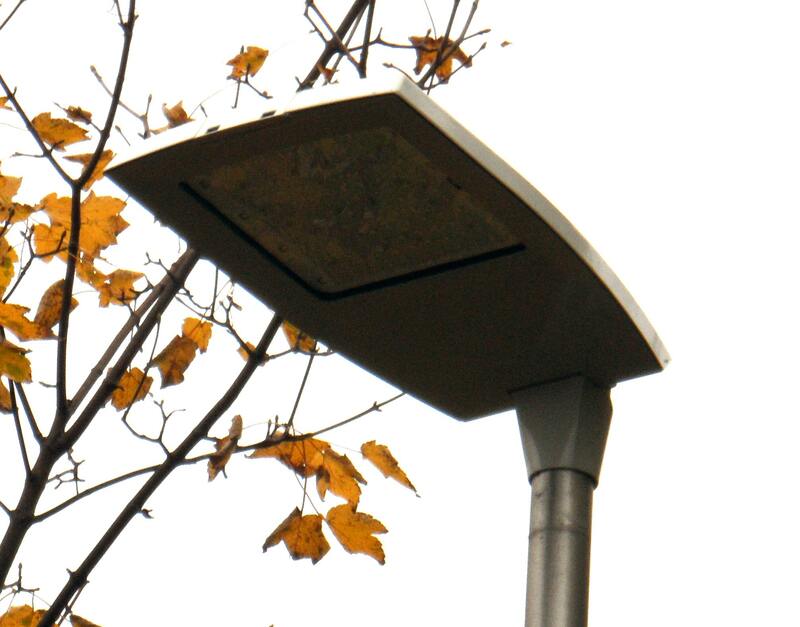 A street lighting column in the United Kingdom are generally made of steel and can be subject to sudden failure. As part of the general maintenance task of lighting equipment, regular structural inspection should be carried out. A visual inspection should be carried out on a yearly basis with a structural test carried out at regular intervals. There are numerous structural testing companies available that can undertake a selection of physical tests or non destructive type testing. Work should be programmed separately to other scheduled and cyclic maintenance regimes.